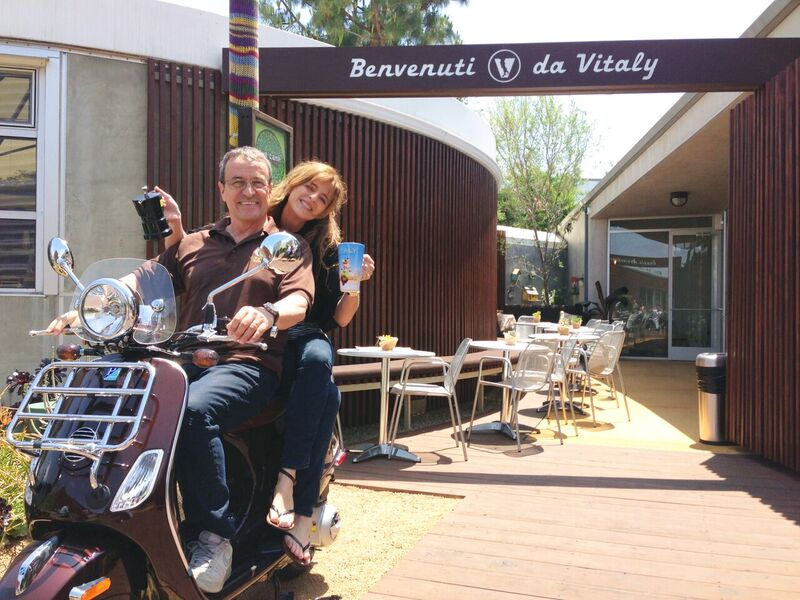 Maurizio and Barbara Cocchi of Bologna had a dream to move to California and bring with them some of the best Italian made foods and cooking styles. They wanted to create a modern authentic Italian friendly and high-quality atmosphere with delectable items such as Piadina’s, exclusive to California, hand-made pastas, Italian Gelato, Italian beers and wines and the world famous Italian espresso and coffees. They made their dream a reality in 2011 and decided to move their family to Orange County, California and in 2013 opened Vitaly. A place to express their love for family, food and friendship as it happens around dining tables in Italian homes and restaurants, an Italian like homey atmosphere for their customers to experience. Piadina is a centuries old flat bread from Emilia Romagna where Barbara and Maurizio are from. Thanks to their experience they were able to adapt the original Piadina recipe using only organic ingredients, including delicious vegan offerings with white whole wheat, or gluten-free flour. Piadina is a delicious flat bread cooked on a griddle that dates its ancient origins to the Eastern Roman Empire. For many centuries, Piadina almost disappeared from Italian tables. But thanks to the eastern area of our Emilia Romagna region, Piadina survived by being cooked on special plates, named Testo, over open fires. After mid-900 AD, Piadina become popular again all over Emilia Romagna, usually made and sold from kiosks and it is now growing again all over Italy as a new street food. 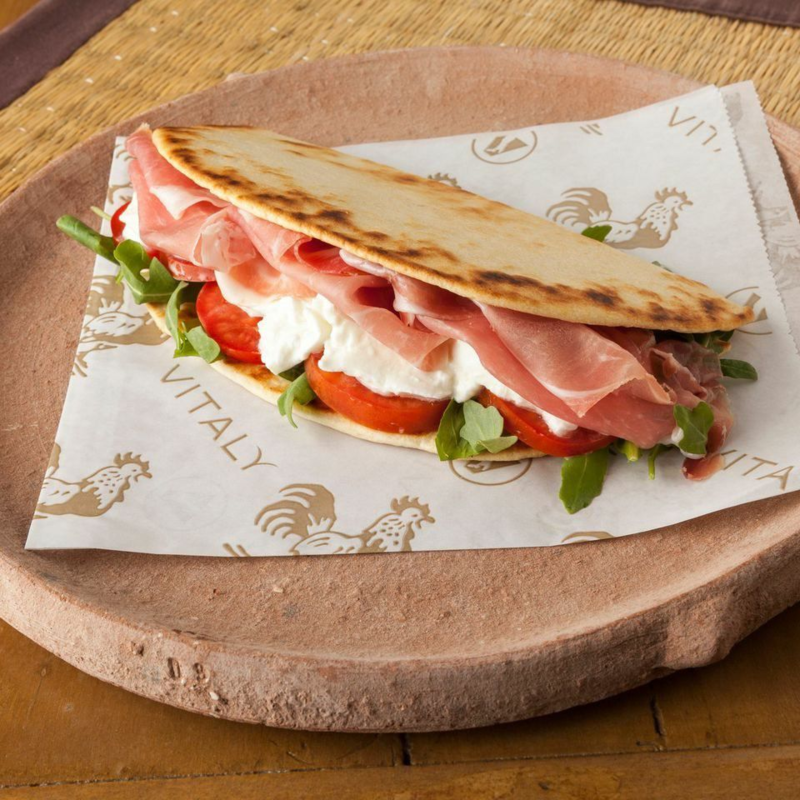 At VITALY, every Piadina and Cassone (Piadina Calzone Pocket) is cooked to order on a hot griddle and filled with ingredients imported direct from Italy and locally sourced fresh produce. Italian Gelato know-how is a modern science and a centuries old culinary art. In Vitaly we are proud to state that we apply them both using the most advanced Italian Gelato science recipes, in full respect of the healthiest ingredients. We mastered the art learned in the best Italian gelato schools and after several practical working experiences in Italian top quality Gelaterie. We love to carry our best and most known Italian Gelato and sorbets flavors, but we also love to play with and propose local most common traditional flavors like Pumkin Pie, Salted Caramel, Peanut Butter, Ginger Bread and so on. Gelato is served warmer (10F instead of 0). Gelato has much less air in it (average between 10 to 20 % instead of 80 to 100%). 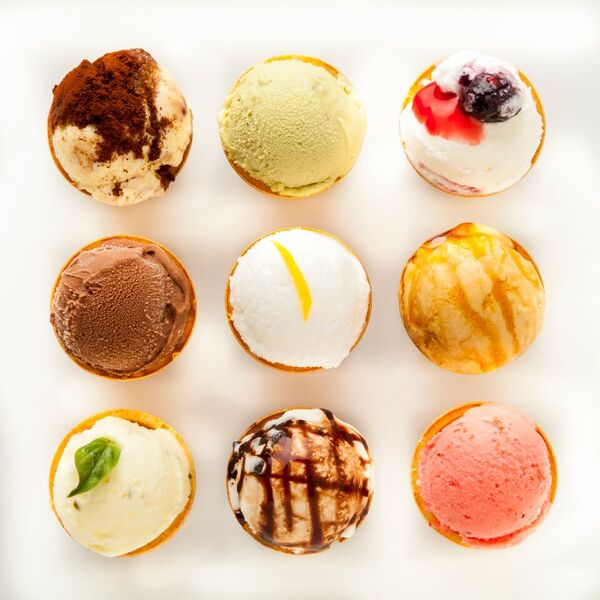 Gelato usually has only a total 6 to 10 % fat content instead of the usual 10 to 20 % of Ice Cream. Bologna is considered the food Capital of Italy where Fettuccine (Tagliatelle), Tortellini, Lasagne and many other unique famous pastas and food specialties come from. 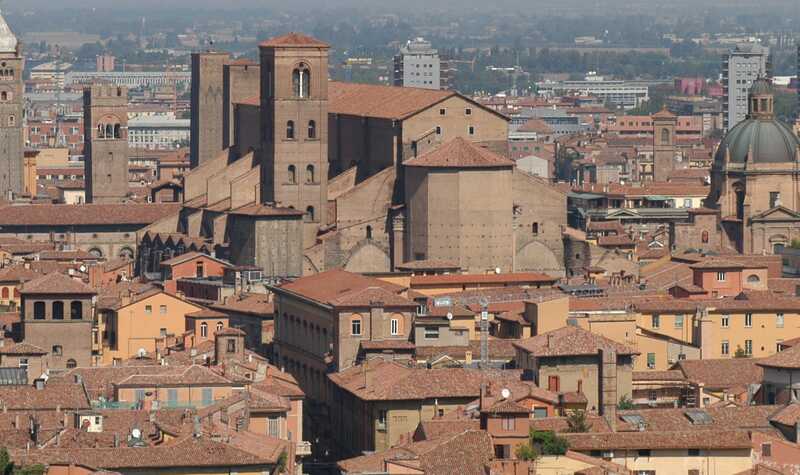 Bologna's region: Emilia Romagna is an infinite source of delicacies like Prosciutto, Parmigiano, Mortadella, great wines and so on. 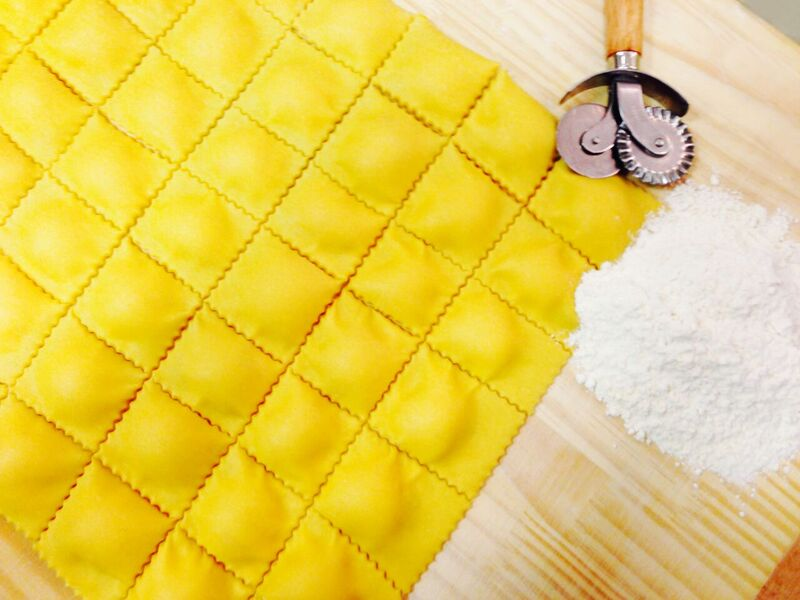 The mission of Vitaly is to serve OC Emilia Romagna food specialties. Cucina means Kitchen and particularly home kitchen, where foods are hand-made, prepared with fresh ingredients and love. As per their traditions, Maurizio and Barbara stated "we like to make genuine products in the most artisan way, from scratch and with our hands. We like to cook to order for our guests with the same love and passion our mothers cooked for us at home." In Vitaly you can start your morning with a full breakfast Menu, continue with lunch and finish with a dinner to enjoy with Italian wines and beers, in a romantic atmosphere. At our Coffee Shop we sell a full Espresso variations Menu made using the only original and authentic Italian Espresso Coffee, imported from Bologna. Italian Roasted Espresso is different from American Roasted Espresso because it is aged, deacidified, and contains 20 or 30% ROBUSTA coffee beans (more caffeine and more crema). 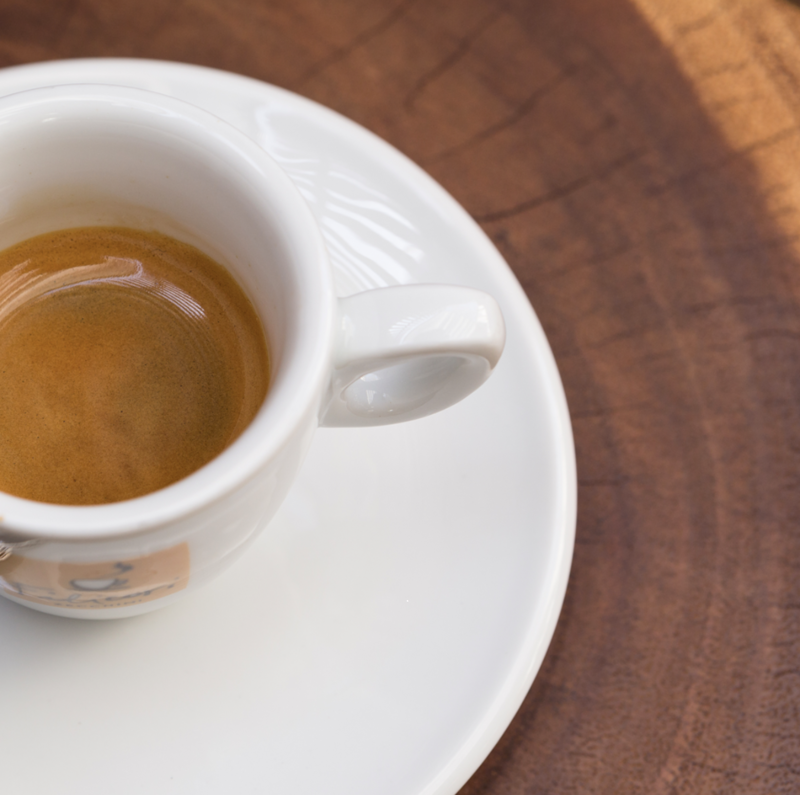 Italian Espresso is the origin of all the Espresso roasting worldwide. In our coffee shop we also sell Italian Roasted Drip Coffee, Hot Chocolates, Organic Teas and other Italian specialties as well as our amazing Italian PASTRY TREATS.